Equatorial Minnesota: The secret identity of "Agathaumas"
Agathaumas, Charles Knight's work via Wikimedia Commons. Most of Agathaumas sylvestris (AMNH FR 4000), minus the ilia; here via Wikimedia Commons, further via Hatcher et al. (1907), ultimately from Cope. You have no doubt noticed that there is a distinct lack of a skull. What gives? 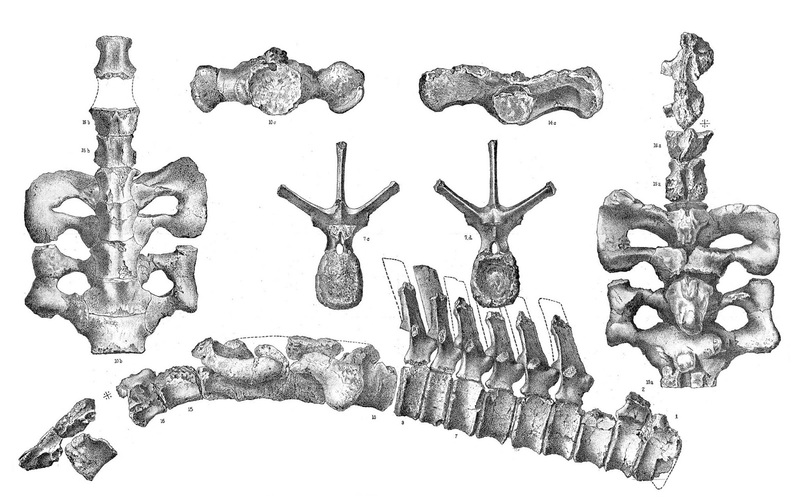 The holotype of Monoclonius sphenocerus, AMNH FR 3989 illustrated in Hatcher et al. (1907). This is the type material of Monoclonius sphenocerus (Cope 1889), which Cope eventually decided was another species of Agathaumas. The identification of the species used for the restoration is quite clearly spelled out in Ballou (1897), where the famous painting was included in black and white. 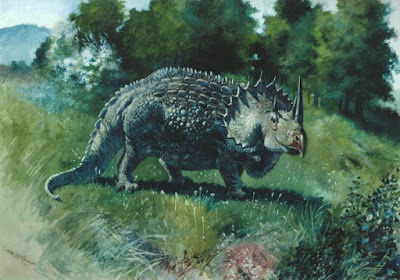 The caption also spells out that the body is based on Marsh's restoration of Triceratops prorosus, and there is a hint that Cope might have thought that the two were the same animal, either point providing an excuse for the exaggerated Triceratops-like frill. However, the business end, the nasal horn, is unmistakable, and shows that no, this isn't some completely made-up ceratopsid, but based on a real and distinctive specimen. How the specimen ended up under the Agathaumas banner is another story. Cope named Agathaumas sylvestris in 1872 for a partial skeleton found in south-central Wyoming, fifty-two miles east of Green River, on the Union Pacific Railroad. The rocks would now be called the Lance Formation, putting the specimen near the end of the Cretaceous (and also partially explaining why Agathaumas is generally now thought to a synonym of either Triceratops or Torosaurus, its approximate contemporaries). Cope himself schlepped out to the site to excavate after the first material was found. He returned to Philadelphia with sixteen back, hip, and tail vertebrae, the ilia, some other bones, and a large mystery. What he had, he was sure was a dinosaur, and an unusually large dinosaur by the knowledge of the time, but what kind of dinosaur it represented was beyond him. In a few sentences he compared it to most of the large dinosaurs then known and still came up scratching his head. 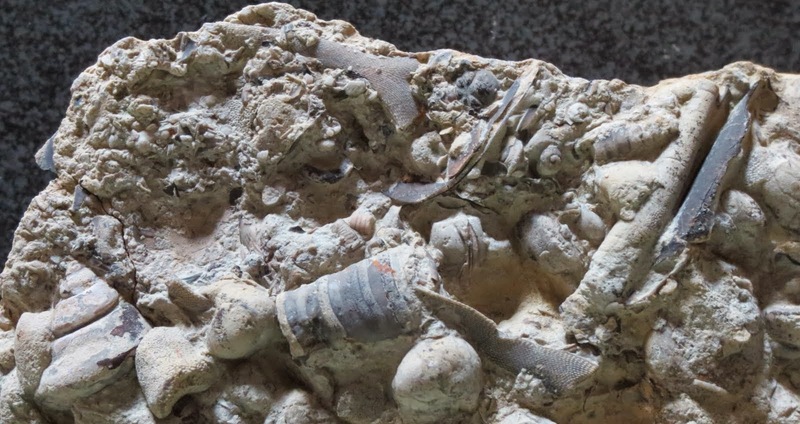 He gave it the name Agathaumas sylvestris, meaning "marvelous forest-dweller"; it was not explained, but presumably "forest-dweller" was suggested by the abundant and well-preserved leaf fossils found associated with the bones. The bones are today in the collections of the American Museum of Natural History as AMNH FR (or FARB) 4000. You can see photos of a few parts of AMNH FR 4000 via the AMNH's online database. Cope evidently never forgot his Monoclonius sphenocerus, nor the possibility that it was Agathaumas, and near the end of his life he had Knight make a painting of "Agathaumas sphenocerus", among other works. This species assignment did not impress Hatcher et al. (1907), who left it in Monoclonius, and with hindsight we can guess that "M." sphenocerus was probably a Styracosaurus-like or Centrosaurus-like centrosaurine, if not a specimen of one of them. 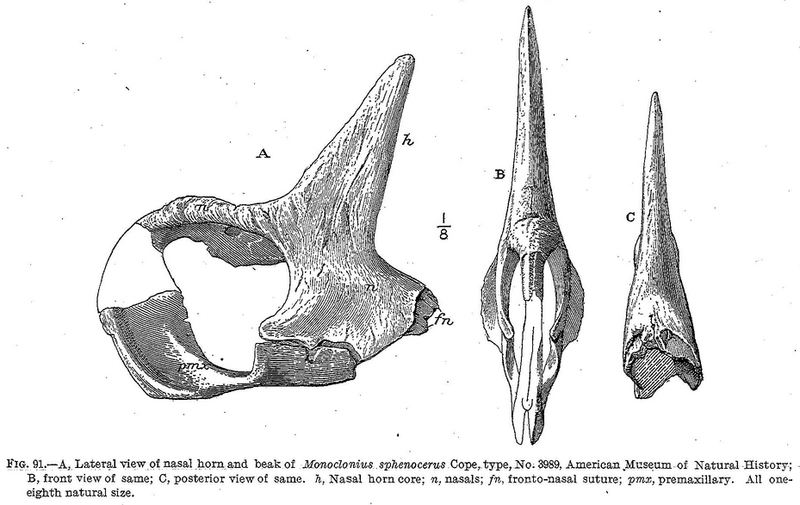 True Agathaumas (A. sylvestris) was presumably a large chasmosaurine, although in the absence of skull material or diagnostic postcranial characters for ceratopsids, this is an informed assumption based on size and the lack of evidence for Lancian centrosaurines. Cope's questionable transfer of Monoclonius sphenocerus to Agathaumas lived on in popular culture, generating an image of Agathaumas that really has nothing to do with the only thing we can be sure is Agathaumas, the few bones named Agathaumas sylvestris. (On the other hand, if he *had* identified the restoration as Monoclonius, it may have been even harder to put Monoclonius out to pasture years later.) The Cope/Knight "Agathaumas" was impressive enough to star in a fight sequence in The Lost World (1925), where it first fends off and slays an Allosaurus but then falls victim to a Tyrannosaurus (which for good measure also takes down a low-flying pterosaur). The link goes to the isolated scene, which is well worth the 1 minute and 41 seconds of your time that it takes to watch. Just don't think too much about the ecology and population dynamics of the "Lost World", where apparently three large animals get iced every two minutes. Ballou, W. H. 1897. Strange creatures of the past: gigantic saurians of the Reptilian Age. The Century Magazine 55(1):15–24. Cope, E. D. 1872. On the existence of Dinosauria in the Transition Beds of Wyoming. Proceedings of the American Philosophical Society 12:481–483. Cope, E. D. 1889. The horned dinosaurs of the Laramie. The American Naturalist 23:715–717. Hatcher, J. B., O. C. Marsh, and R. S. Lull. 1907. The Ceratopsia. Monographs of the United States Geological Survey 49. I wonder which relatively well known taxa of today will be forgotten in the future. It's fascinating that Agathaumas was once one of the classic dinosaurs. Troodon's probably #1 on that list, unless it benefits from the "Brontosaurus effect" where a name is kept alive in popular culture after being largely abandoned in the literature.